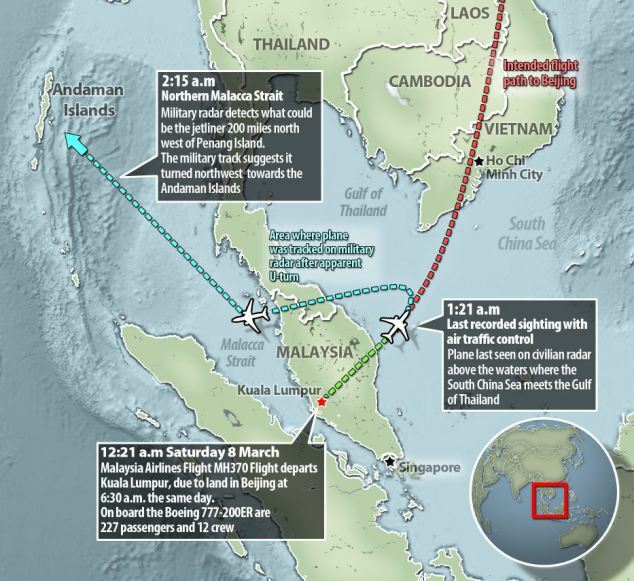 MH370 New Revelation – Hijacked – footsteps…….. It was confirmed that MH370 do follow the course charted by the military radar that detected a turn back after it loosing contact. The confirmation came from the Prime minister of Malaysia during the Press Conference today. “Based on new satellite communication we can say with a high degree of certainty that the aircraft communication addressing system was disabled just before the aircraft reached the east coast of Malaysia. Shortly afterwards between the border of Malaysian and Vietnamese air traffic control the aircraft’s transponder was switched off. 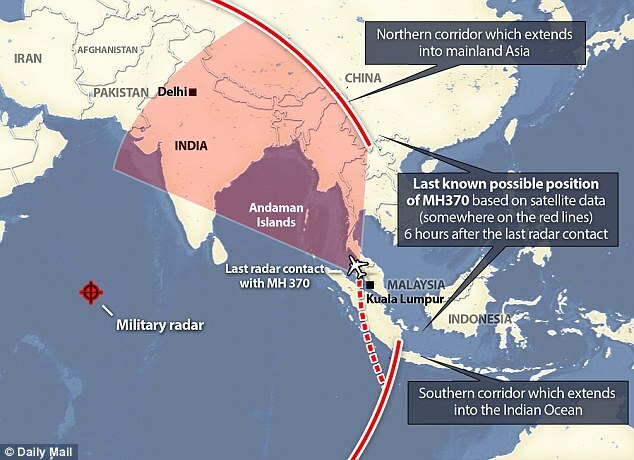 Radar data showed that from this point onwards a plane believed to be MH370 did turn back and turned back in a westerly direction before turning north west. The prime minister said this new information had led to the ending of the search operation in the South China Sea. So, there is someone on board who knew how to fly a Boeing and some of the leads, theories and speculations made by anonymous individual that MH370 was hijacked seems to unearth. CNBC Report, Investigators have concluded that one or more people with significant flying experience hijacked the missing Malaysia Airlines jet, switched off communication devices and steered it off-course, a Malaysian government official involved in the investigation said Saturday. Information about the aircraft still fly after the communication was lost was dismissed earlier and now come out to be correct. This was due to most basic systems, such as the engines, can also send status information back to ground stations, including the engine manufacturer or the airline. Investigators have now determined that some of these systems were still active on Flight 370, hours after it initially lost contact with air traffic controllers. The question is whether this low-level data is enough to provide new insight on where the plane may have gone. Read more from SOURCE. Since Day 1, there are no demands made by any parties and that was what made everyone baffled about the missing aircraft. The new findings opened up a new search corridor to west of peninsular Malaysia on the Andaman Sea and Indian Ocean from South China Sea.